Perched on a hillside in Crete overlooking the bay of Elounda, Sentido Elounda Blu Hotel is an adults’ only luxury hotel offering a tranquil beach holiday with an array of luxury amenities to pamper you. Built in contemporary architectural style, the property offers stunning views of the gulf of Elounda with proximity to the medieval castle of Spinalonga and a lovely sandy pebble beach just a few minutes’ walk away. 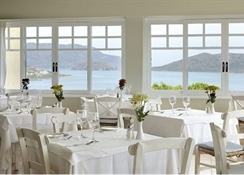 The hotel’s rich amenities coupled with warm hospitality offer the much-needed privacy and solitude. So, you can enjoy a wellness area with spa facilities, a swimming pool, a private beach with umbrellas and sun loungers, exhilarating water sports and 6 on-site restaurants and bars to let you savour delicacies from various corners of the globe. If you want to explore Crete, the hotel arranges car and bike rental, or you can hit jogging trails, take boat trips to nearby islands or go trekking. 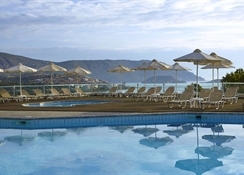 Sentido Elounda Blu Hotel is situated in the scenic resort of Elounda. It is close to the town centre, and the medieval castle of Spinalonga. 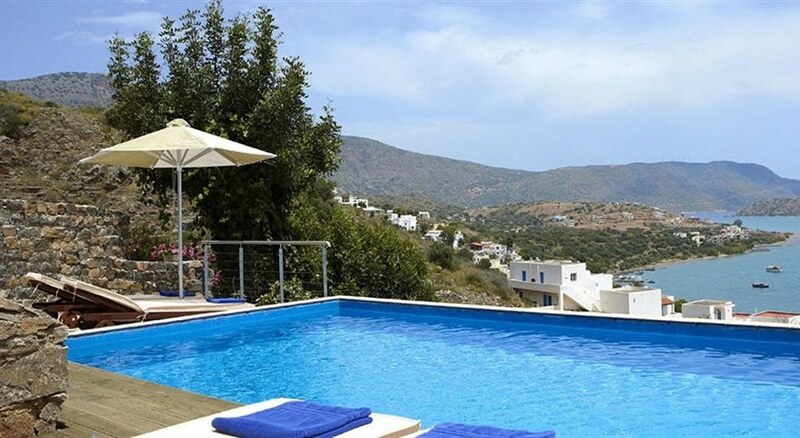 The property overlooks a sunny beach and isn’t too far away from the resort of Agios Nikolaos. The nearest airport is at Heraklion, about 70 km away. There’s an array of recreation and relaxation opportunities at the hotel that includes a wellness area with spa facilities, a large outdoor swimming pool along with a smaller pool by its side, a heated indoor pool, a private beach with complimentary umbrellas and sun loungers. The beach also has water sports activities such as water skiing, wind surfing, sailing, canoeing and lots more. Guests can also enjoy recreational opportunities outside the hotel such as mountain biking, trekking, island trips on boats and golfing. In the evening, guests can enjoy entertainment activities organised by the animation team or listen to DJs performing live. The hotel offers cars and bikes on rent to help you explore Crete.